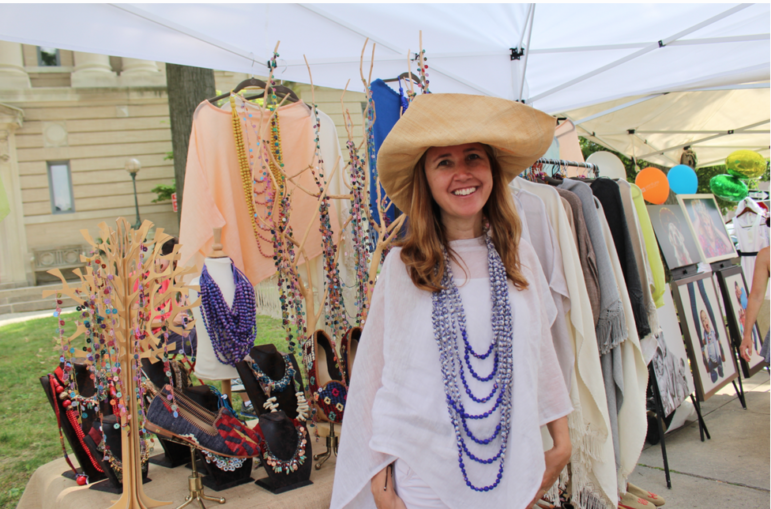 The Greenwich Chamber of Commerce’s highly anticipated shopping extravaganza, the 2018 Greenwich Sidewalk Sale Days, is set for July 12 to 15. Sale hours are Thursday to Saturday (July 12 to14) are 10 a.m. to 7 p.m.
Sale hours on Sunday, July 15 are 11 a.m. to 5 p.m.
Greenwich Sidewalk Sale Days run from Thursday to Sunday, July 12 to 15. The annual event, featuring over 120 retail stores, attracts hundreds of shoppers to Greenwich Avenue and the nearby streets in downtown Greenwich to find savings and values on clothing, jewelry, accessories, gifts and more from participating retailers, restaurants and businesses. Sidewalk Sales is the largest outdoor sidewalk sales event in all of Connecticut, encompassing four full consecutive days of bargains. There are also two official hashtags for this event #GreenwichSidewalkSales and #GSS2018 to provide incentives to boost community engagement. The Chamber advocates, promotes, connects and educates in the interests of the business community. Its diverse events, educational programs and networking opportunities are open to all businesses and residents. For more information on the 2017 Greenwich Sidewalk Sale Days, call Greenwich Chamber of Commerce at 203-869-3500 or visit www.Greenwichchamber.com, for a complete list of participating retail stores. Below are some helpful tips, participating stores and restaurants and select Specials Alerts to help you make the most of your shopping experience. Plan ahead. 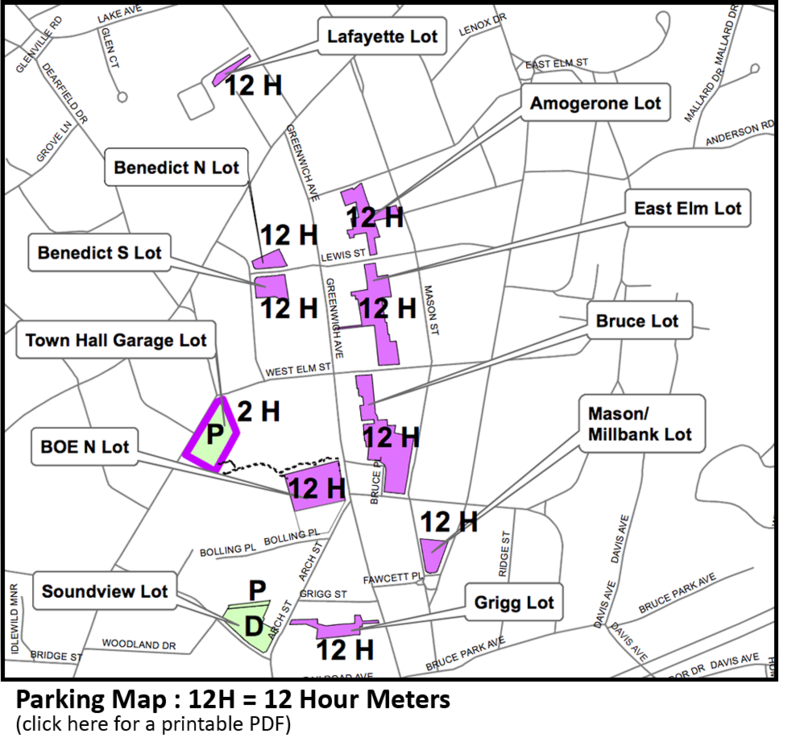 Click here for a printable parking map and here for helpful parking apps suggested by the Town of Greenwich and bring plenty of quarters. Help alleviate traffic congestion and use Greenwich Taxi – download and use their app: https://greenwichtaxiinc.com/ and use code GSS2018 for 10% OFF your ride July 12-15. Look below and visit our Facebook page @GreenwichCTChamber for specific store discounts and deals ‪#‎GSS2018‬ and #GreenwichSidewalkSales. Dress in loose clothing and comfortable shoes. Don’t forget your shades and sunblock. Start shopping early and stay late. Take a break from this shopping extravaganza to have lunch or dinner at our wonderful local restaurants. Come more than one day. Athleta will be running a Semi Annual Sale for our entire brand that goes live on Thursday, July 12th. We will be opening an hour earlier that day at 9am. By the Way Bakery will have a tent outside their store on East Putnam Ave. displaying products they sell in the bakery. Sidewalk Sale goers can visit inside the bakery for free slices of cake. Do Good Shop will be at the corner of Greenwich Ave. and Havemeyer Place with a free gift of a handmade elephant lucky charm with any purchase. ivivva by lululemon will be set up outside of lululemon Thursday – Saturday. Be sure to check back each day for something new – you never know what you might find! Find your favorite Now Or Never gear at special prices you won’t find online or in stores! JoJo Maman Bebe will be featuring sales with up to 70% off. Katie Fong is offering up to 80% off the Katie Fong Collection and more. Prices starting at $10 for accessories and jewelry. Lillian August Atelier at our new location at 195 Greenwich Avenue will have up to 60% off select home accessories and gifts. Madewell will be offering 30% off on sale merchandise. Naturepedic Make a purchase during the Sidewalk Sales and receive 10% off, plus the chance to win a special Naturepedic gift. OsteoStrong® Visit our booth (close to Sephora) July 12-15 and win 2-free sessions. Pomeline is offering 50% off all jewelry. Find them in front of the Senior Center. Sail to Sable Shop up to 50% off Spring and Summer merchandise. We will also be offering a range of past seasons’ samples including our Classic Tunics, dresses, sweaters and skirts. Sample pricing ranges $40-$80. TUMI Take an Additional 20% off Sale Items. Valid 7/12-7/15 at TUMI Greenwich Store Only. Warby Parker is offering a gift with purchase and grand opening activities on Saturday, July 14th. We will be offering a special tote bag as a gift with a purchase of any eyewear (both eyeglasses and sunglasses, nonprescription and prescription) while supplies last. We’ll also be celebrating our grand opening that day and will be partnering with Green & Tonic to serve lemonade to our first customers.